BAND ON THE RUN! Come join the Kingwood Mighty Mustang Military Marching Band (KM4B) on Saturday April 6, 2019 at 8:00 am for our 6th annual 5K /10K run through the beautiful greenbelts of Kingwood. KM4B Band On The Run is a USTAF certified, sanctioned, and chip timed run. 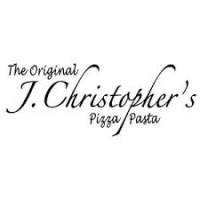 Bib, packet and T-shirt pick-up will be on 4/5/19 from 4 to 6 pm outside the gymnasium entrance near the band hall at Kingwood High School and at 7 am at Creekwood Middle School the day of the run. KM4B is a military style marching band with over 200 student members who perform all over the United States including The Rose Bowl Parade, Pearl Harbor, Disney World, Lincoln Center, and Carnegie Hall, NYC. This spring the band will again travel to perform at Pearl Harbor in Hawaii. 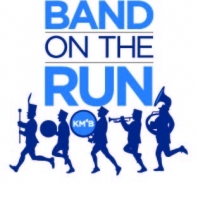 All proceeds from the run support the band by funding new instruments, equipment, music, clinicians and the KM4B trailer that travels with the band to haul instruments and equipment to games, events and competitions. Please note: Free run T-shirts will be given to all participants that sign up before March 30, 2019. After that date we can't guarantee that a shirt will be available. THANK YOU FOR SUPPORTING KM4B!